Publisher: Ruth Nyaboe June 01, 2018 This information is provided solely as a guideline. 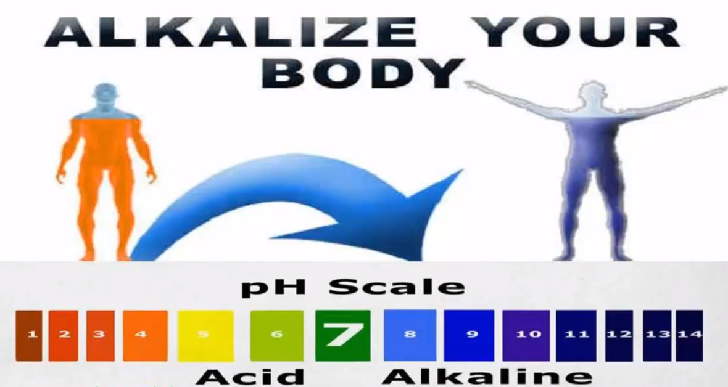 We, humans, are alkaline organisms in the food chain. Our PH level can easily turn acidic if we do not pay attention to what we eat. Has a PH level of 9.0, though acidic in nature, LEMONS are the most alkalizing food. Lemons are a natural antiseptic, healing property. It is the best liver tonic because of its peel, that detoxifies & energizes the liver. Its electrolytic properties are the most potent & most immediate relief for cold, cough, flu, hyperacidity, & other virus-related ailments. Has PH level 9.0. Rich in water content at 92 % & high fiber count, it is a mild diuretic. It is a great source of Lycopene, Beta-carotene & Vitamin-C. It is a good colon-cleanser. Has a PH level of 8.5. It is a gelatin substitute made from seaweed that is high in Iron & Calcium. Rich in Fiber, thus very digestible. Has a PH level of 8.5. Capsicum has antibacterial properties & also rich in Vitamin-A-an essential anti-oxidant. Cantaloupe, a relative of melon, is very low in sugar but high in fiber. Both are high in enzymes needed by the endocrine system as well. Has a PH level of 8.5. They are the best at cleansing the kidney. Papaya is the healthiest laxative that promotes defecation & colon cleaning. Parsley is the best intestine sweeper when taken raw & also a diuretic. Mangoes, limes, & melons are Vitamin-rich foods that are alkaline-forming during digestion. Has a PH level of 8.5. These are the powerful acid reducer. Watercress is the very first leafy vegetable consumed by human beings. It is best eaten raw & rich in Iron & Calcium Seaweed also fall into the same category. Asparagus is high in Asparagine, an amino acid important for the nervous system. Has a PH level of 8.5. Rich in flavonoids. Kiwi has higher Vitamin-C than oranges. Chicoy, a bitter tasting close relative of the lettuce, also has insulin that supports the pancreas & aids the body in preventing diabetes.